'O' rings and washer set. A handy set of spares for such items as Lubricator cap/.. Pack of 4 Axle Bushes. Brass 1/4" bore, to press fit into 8mm (5/16") hole. Ream 1/4"..
BA Spanner Set. Open ended 6 piece 12 sizes ranging from 11BA to 0BA. The 8BA,4BA .. Basic Series Brake handle for gas regulator. Basic Series Brake handle for gas regulator complete with Allen Key. Price includes UK P&P ..
Brass dummy whistle. Tapped m2 & fitted with a M2 brass screw. Price includes UK P&.. Etched Locomotive Numbers. 1 through to 10, easy to paint then snip off and apply with a smear..
Gas Filler Adapter with a 7/16th NS thread for EN417 canisters. ..
Gas Filler Valve. Threaded M4.5 x 0.5 If being used in Millie locos, Serial No's 1-1..
Lubricatior cap + 'O' ring. Threaded 3/8" x 24 UNF Price includes UK P&P ..
Lubricator drain screw and 'O' ring. 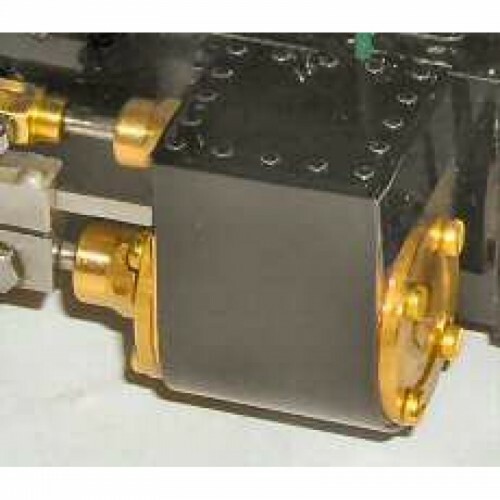 Fits displacement lubricators. Price.. Painted clip on cylinder covers, etched in brass. Pack of two gloss black. These fit all..
Roundhouse Buffer Beam overlays 'Billy' style. Ready painted in buffer beam red Ral 30..
Roundhouse Buffer Beam overlays Lady Anne style. Roundhouse Buffer Beam overlays 'Lady Anne style, ready painted in Buffer Beam red Ral 3001 &..